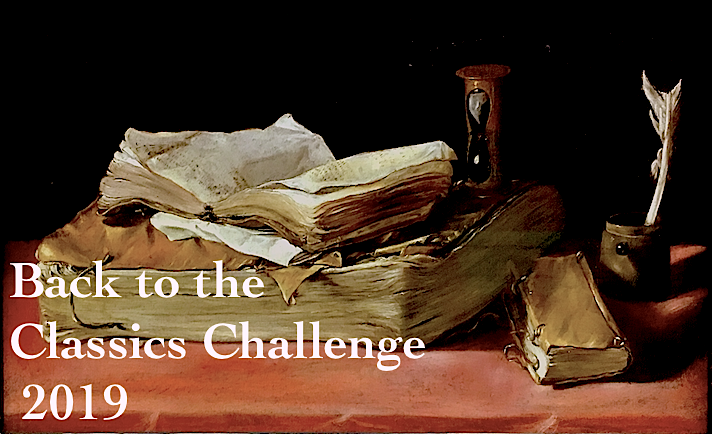 I'm finally making some real progress with my TBR Pile Challenge list. However, I skipped over the actual selections and read one of the alternates: Nella Last's War: The Second World War Diaries of Housewife, 49 is a nonfiction book, selections from her diaries during WWII. 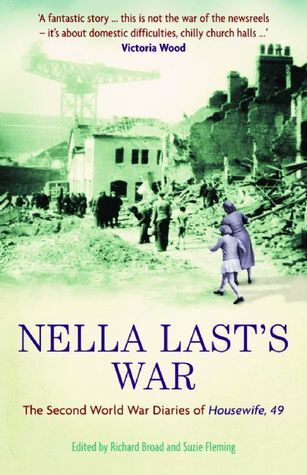 When the war breaks out, Nella Last is a middle-aged housewife, mother of two adult sons, living in Barrow-in-Furness, England, a port town north of Liverpool and Manchester. Nella was participating in the Mass Observation project, in which she sent weekly installments observing her life and how it changed during wartime. Her youngest son Cliff volunteers and is eventually posted to the Middle East; her older son Arthur is sent to Northern Ireland. Nella chronicles her days as a housewife coping with the changes due to the war, her fears for the safety of her children and her community; and writes about her participation in the local Centre, the soldier's Canteen, and her volunteer work at a Red Cross thrift shop which donates care packages to POWs. I'm really interested by the WWII era, especially how it affected people on the home front, more so than military stories. This book took a lot longer than I expected. It's ten chapters of diary entries from 1939 until 1945, and it's only about 300 pages long, so there are a lot of short sections -- easy to read just a little bit at a time. But parts of this book were very painful to read about. I'm usually fascinated by the aspects of war viewed from the home front, but the fact that it isn't fiction made it harder -- Nella was a real person, and this whole time was so difficult for her and everyone else in her situation. As an American who's never had to live through anything remotely like this, I felt so bad reading her diaries -- not just about the fears of the losing friends and family, and the terror of bomb scares, but just the difficulty people endured every single day. Gasoline rationing, blackouts, raising your own food, the scarcity of everything -- it just made me realize how fortunate I've been. I wouldn't say I've had a privileged existence but I've never worried about having food on the table and a roof over my head and gas in the car. It was also sort of difficult to read about some of the personal issues Nella was working through. Nella was only a little older than me when she started writing, though she was married much younger and her boys were already grown. I got the distinct impression her marriage was not very happy; she mentions repeatedly that she's now standing up for herself more after almost thirty years of marriage; that her husband wants to be the center of her life, and that's she's recovering from a nervous breakdown. After reading the entire book, I never did figure out what her husband's first name is!!! I don't think she ever referred to him by his first name, just "my husband." She mentions friends, relatives, and her sons over and over by their first name, but not her husband. I'm not sure what it means but it doesn't sound good. Ultimately, the book is uplifting, and we begin to see how her family and community are recovering from the war, though the rationing and difficulties are far from over. There is a follow-up book called Nella Last's Peace which I'd also like to read, and a third volume, Nella Last in the 1950s. I also own some other WWII diaries and nonfiction: Few Eggs and No Oranges by Vere Hodgson; Millions Like Us by Virginia Nicholson; and Our Hidden Lives by Simon Garfield. However, I think I may take a break before reading any more books about World War II. 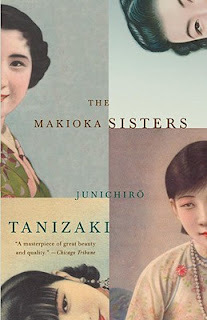 Set in the late 1930s, this is the story of the four Makioka sisters who are from an affluent family, originally successful merchants in Osaka. The parents have passed away and the family's fortunes are somewhat in decline. The two eldest are married (both the husbands have taken the Makioka name, which surprised me), and the two younger, in their mid- to late twenties, are still single. Most of the story centers around the second sister, Sachiko, and her relationship with her two younger sisters, Yukiko and Taeko. Yukiko is nearly thirty and the family is anxious to marry her off. She's had several proposals, mostly men she hardly knew, but either she didn't like the man or the family has found something unsuitable about him. The youngest, Taeko, has a suitor, but she seems more interested in a career than marrying. Also, the family is traditional and would prefer she wait to marry until her older sister has a husband. The story spans several years of the sisters' lives. Much of the action involves Sachiko's attempts to find a suitable husband for Yukiko, but it's really a story about the day-to-day life of an upper-middle class family in the 1930s. It's mostly a domestic novel, but there are more and more hints about the war to come. Sachiko's family has neighbors who are a German family, and their children are playmates. Eventually they move away and we learn from letters aspects of the coming war in Europe; also, towards the end of the book there are more and more mentions of the "China Incident" -- the second Sino-Japanese war that began in 1937. I kept hearing that this book was a sort of Japanese version of Pride and Prejudice, but I honestly did not make that connection at all while reading it. If I hadn't heard it earlier, I would never have compared the two. In the beginning of the book, the only things they have in common is that they are about families with unmarried sisters trying to find husbands, and a backdrop of imminent war (though wars are barely mentioned in Jane Austen). Later, I did find that one of the Makioka sisters has a pretty strong resemblance to one of the Bennet sisters, but I won't say which one since I don't want to spoil it for anyone. But I really couldn't find any other parallels between the plot nor the characters. Sorry, no Japanese Mr. Darcy! I liked learning about the minutia of daily life in Japan during the era, and I especially liked that it was by a Japanese writer contemporary to the time. I lived in Japan for more than two years, but sadly, I've read very few books by actual Japanese writers, and none of their classics. I thought the characters were really well developed and I got a lot of insight about what it must have been like in that time. However, I couldn't help thinking that the Makioka family members were so wrapped up in their own domestic troubles they couldn't see the war looming ahead of them; I couldn't help wondering which of the characters would survive WWII and how life would change for them. I'd really like to read a Japanese novel about life in Japan during the war, so if anyone could suggest one I'd love a recommendation. This book counts as the third read for my TBR Pile 2013 Challenge; my 20th Century Classic for my Back to the Classics Challenge; my second read for the Chunkster Challenge; and my 24th book from my Classics Club Challenge. Technically, I'm on a blogging break. But I really, really loved The Classics Spin from a couple a months ago, and I adore making lists. Also, I'm really, really trying to read books off my own shelves. 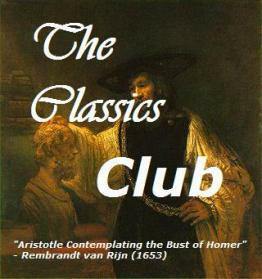 So I am going to let the nice people at the Classics Club choose my next classic read off the following list from my own shelves, and complete it before July 1. Hopefully by July 1 I'll be inspired to write something about what I'm reading. Bloggers, which of these have you read? Loved them or hated them? I'm really looking forward to Monday to see what number comes up! Updated: The Classics Spin number was . . . 6!! So I'll be reading (or attempting to read) Lady Chatterley's Lover by D. H. Lawrence, also one of the books on my TBR Pile Challenge List. This might just be the push I need to give it a try. Who knows, maybe I'll like it. I was expecting to hate Sons and Lovers and I really liked it. 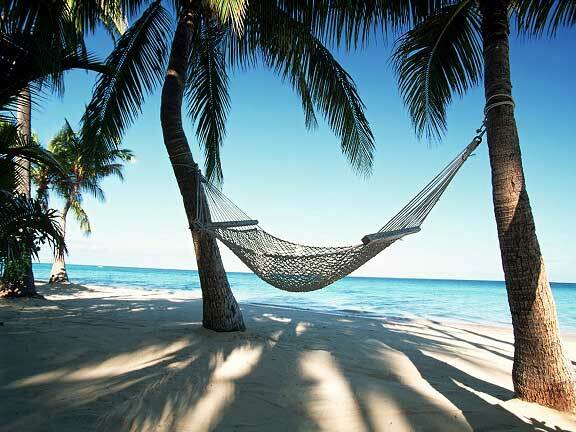 I wish I were in this hammock, reading a good book, but I am not. As you may or may not have noticed, it's been nearly a month since my last blog posting. Although I'm still reading at an admirable pace, lately I just have not been inspired enough to blog about it. A full-time job and a family are just getting in the way, I guess. For the past few months it's been feeling more like homework. So I'm not saying I'm going to give up blogging, but for awhile, I'm going to take a little break. I'm still following lots of book blogs, and I'm going to continue commenting (at least until July 1 when Google Reader is disappearing, and I'll have to find another way to keep up with my subscriptions). Anyway, I'll have plenty of books to keep me busy and I hope to be back at some point. Happy reading, everyone!